The kennel life goes on as it should. We have minor issue, but no major obstacles. Right now we are a bit stuck since we are repairing the driveway, and the car is INSIDE a big hill of rocks. But the training cart is outside, and we have been good good good. 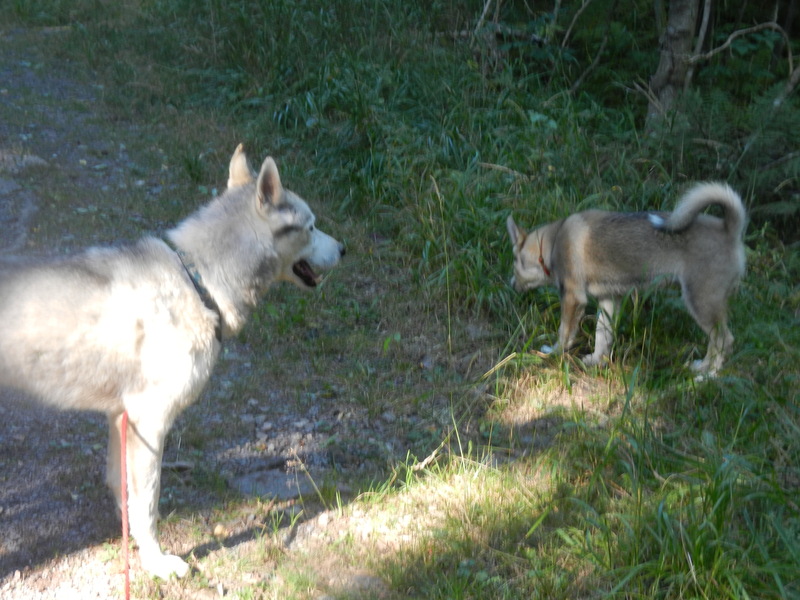 One weekend in Julussdalen worked wonders, a team of 10 including Racer and Kirsten’s two huskies. Kobuq had a small injury on his foot, but he is healing properly and is back in training. I also injuried my leg – fell /& twisted it with four dogs on the tugline and two in my hands. But I am made of steel, so no big issue. 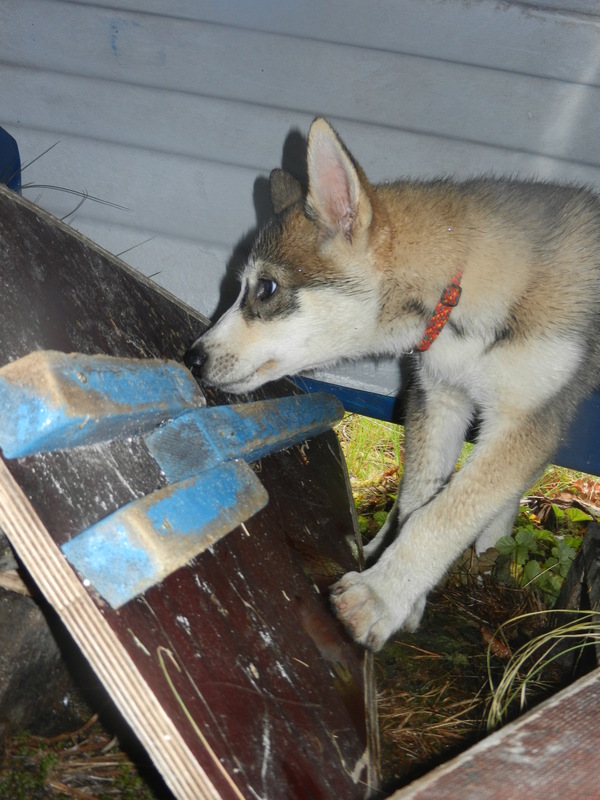 The first Siberian Husky newsletter is out. Lots of work. But at least we have shown that we can make it. I am acting editor and Stine is layout lady. And then we have a nice team of brlliant and well educated and creative ladies to help. I like to do some things for the collective gang, not only myslef and my fearless team. Limpopo is getting bigger – today he embarrassed me with his totally trusting temperament, he ran up to a group of girls who sat resting at Sognsvann and went into each one’s lap to get hugged. He is so curious, friendly and funny. My night runs are extatic. I get out after dark and run a team of 8; the cool weather and the nice shape they are in has made it a thrill to run them this year. Except for some still annoying barking before start, they are exemplary. Fast, obedient, structured interested, and stop the minute I ask them for that. For once I am blessed with good dogs. May it last: touch wood!